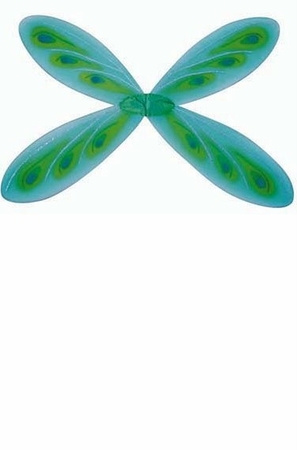 Complete your fairy or dragonfly costume with these large wings in blue and green with elastic bands to fit over your arms. 68 cm by 96 cm (about 27 inches by 38 inches). One size fits most adults. Check out more options in our Costume Wings section!